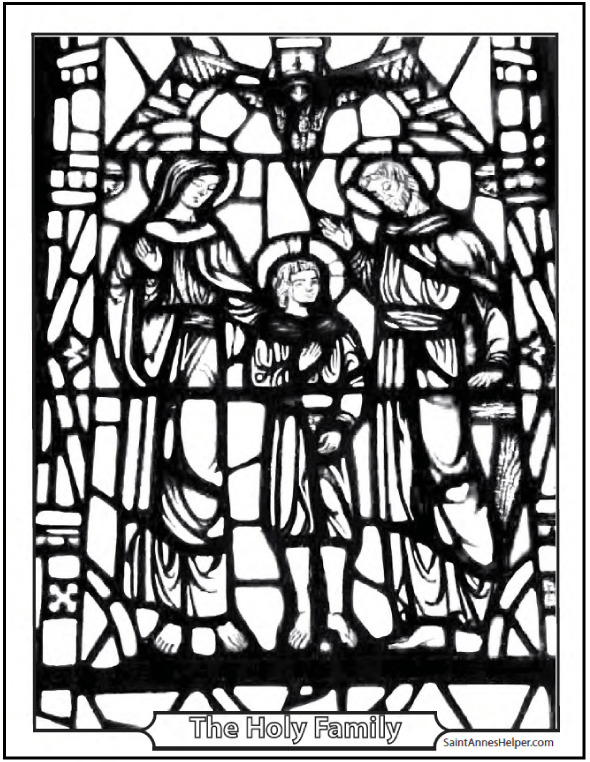 This Holy Family coloring page shows Joseph, Mary, and the Child Jesus under the Dove symbol of the Holy Spirit in a stained glass picture. It is a very peaceful picture and Jesus is about twelve years old. 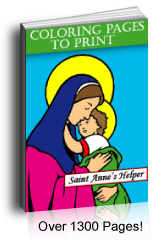 Print this Holy Family coloring page here.